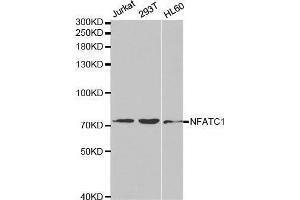 Western blot analysis of extracts of various cell lines, using NFATC1 antibody. 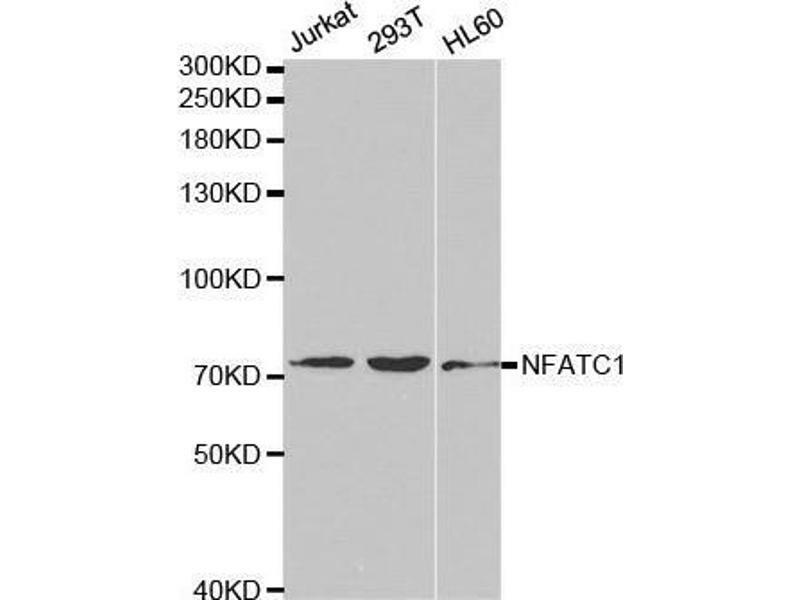 Background The NFAT (nuclear factor of activated T cells) family of proteins consists of NFAT1 (NFATc2 or NFATp), NFAT2 (NFATc1 or NFATc), NFAT3 (NFATc4), and NFAT4 (NFATc3 or NFATx). 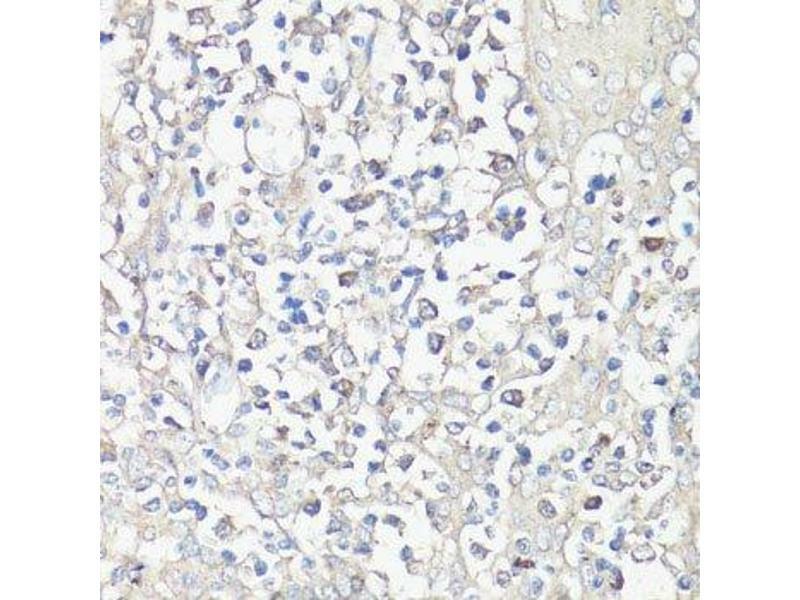 All members of this family are transcription factors with a Rel homology domain and regulate gene transcription in concert with AP-1 (Jun/Fos) to orchestrate an effective immune response. 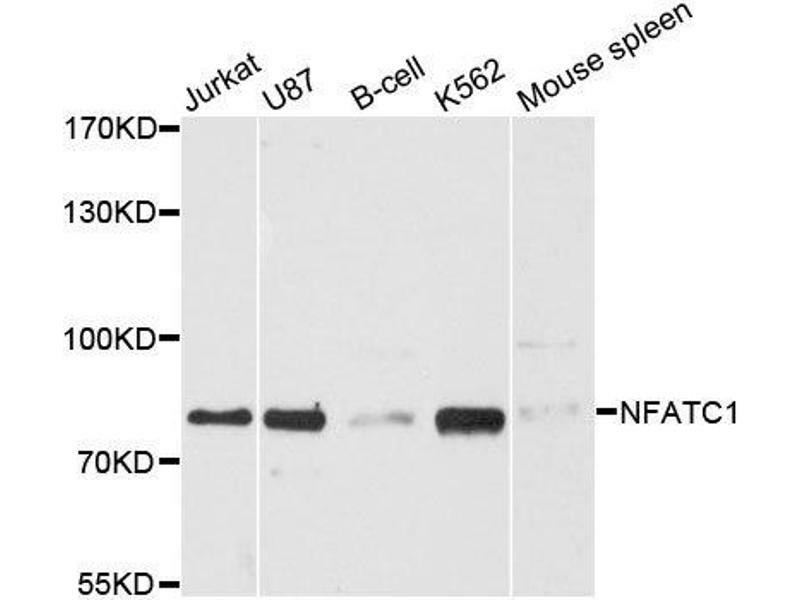 NFAT proteins are predominantly expressed in cells of the immune system, but are also expressed in skeletal muscle, keratinocytes, and adipocytes, regulating cell differentiation programs in these cells. 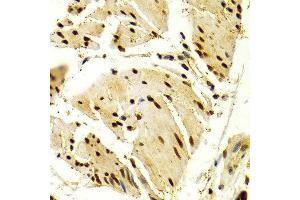 In resting cells, NFAT proteins are heavily phosphorylated and localized in the cytoplasm. 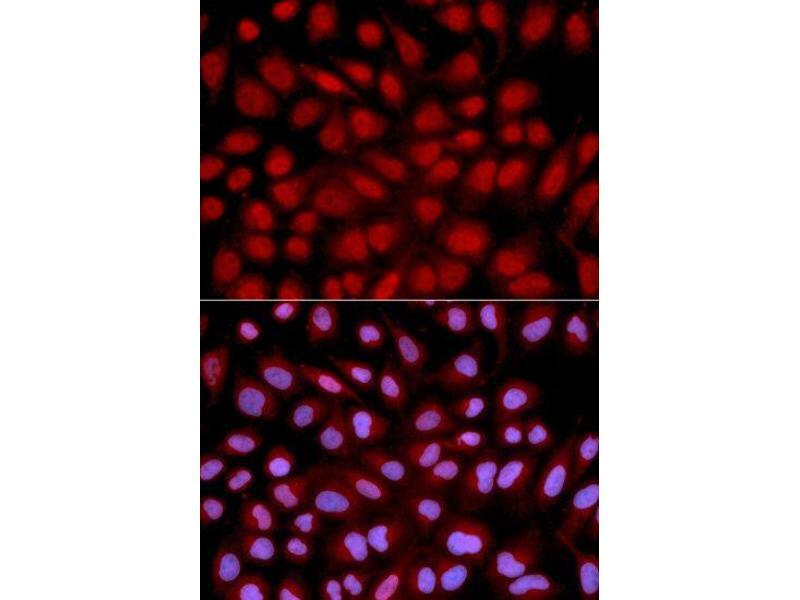 Increased intracellular calcium concentrations activate the calcium/calmodulin-dependent serine phosphatase calcineurin, which dephosphorylates NFAT proteins, resulting in their subsequent translocation to the nucleus. 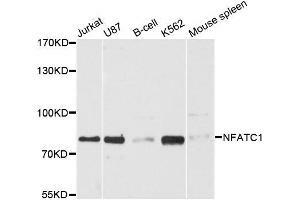 Termination of NFAT signaling occurs upon declining calcium concentrations and phosphorylation of NFAT by kinases such as GSK-3 or CK1. 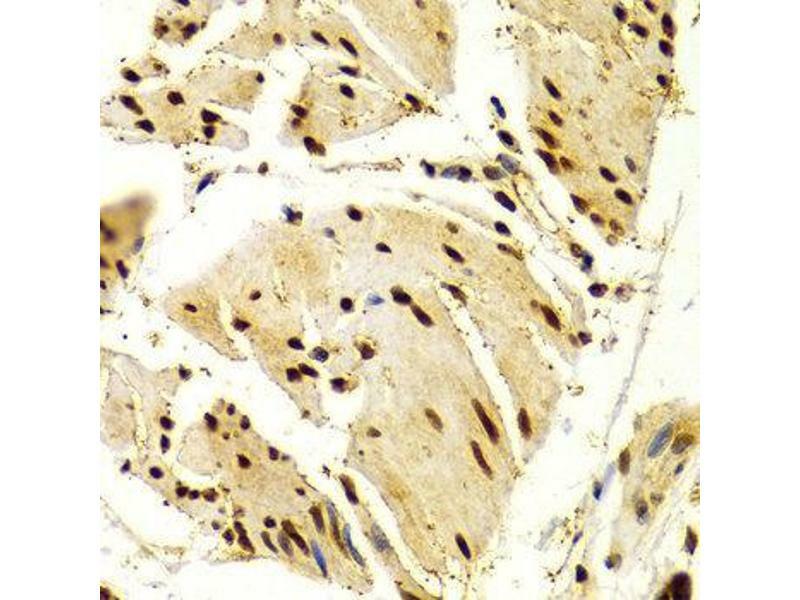 Cyclosporin A and FK506 are immunosuppressive drugs that inhibit calcineurin and thus retain NFAT proteins in the cytoplasm. 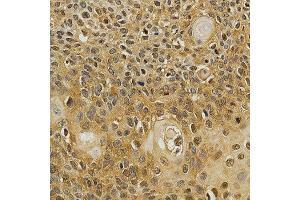 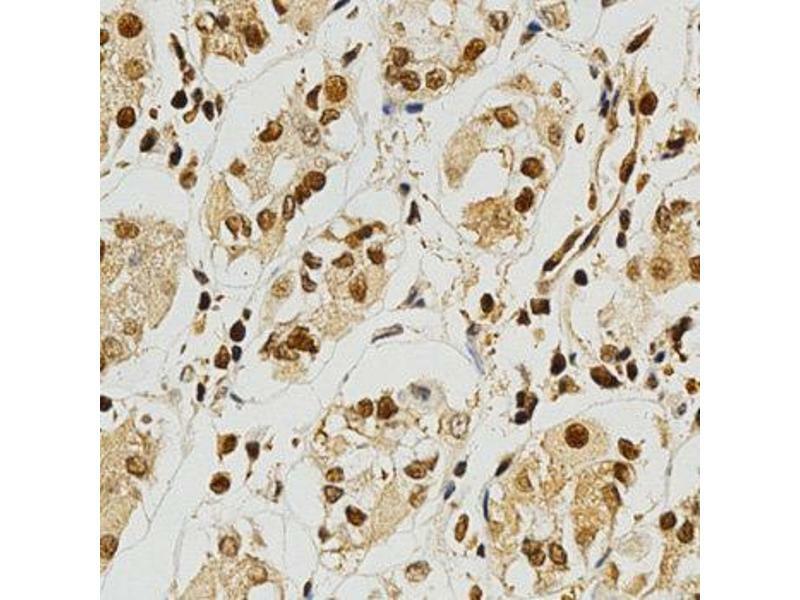 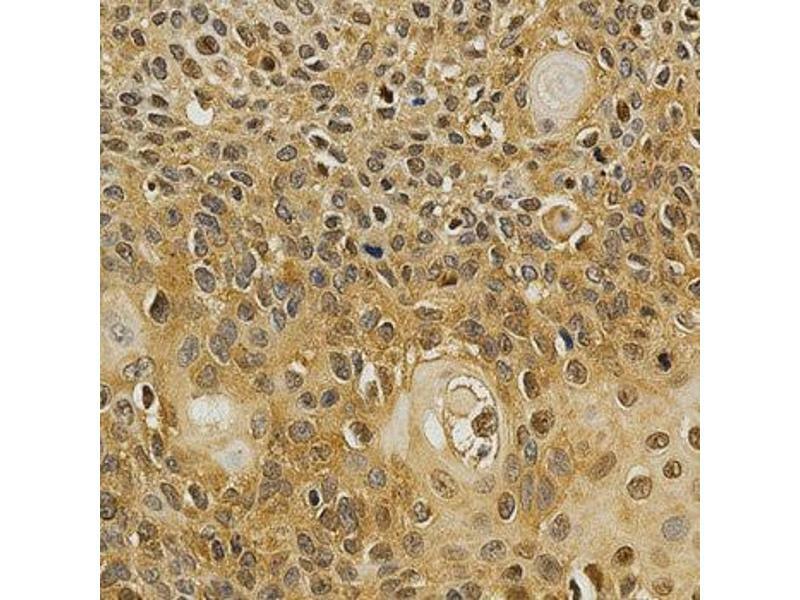 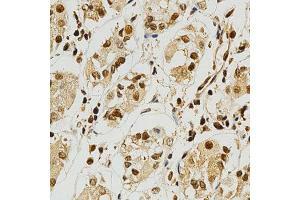 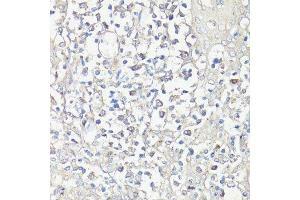 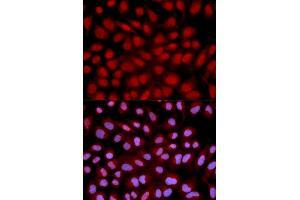 Immunohistochemistry of paraffin-embedded human tonsil using NFATC1 antibody.